Back in January I purchased a subscription to Sample Society. 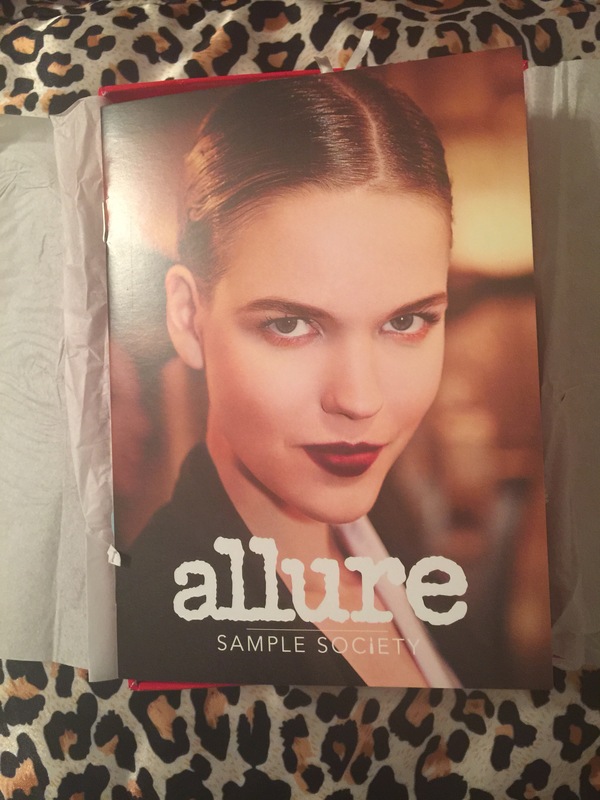 This is a subscription from BeautyBar.com and Allure Magazine. Last month there was a great coupon that allowed me to purchase a one month subscription for $10, instead of the regular price of $15. I adore Allure Magazine, and thought this would be the ideal opportunity to give this a try. I have yet to give these a try, but I’m researching different types of face masks for a future post, and thought these would be perfect to add to the mix. Gorgeous light purple. I don’t wear this type of color often, but because it seems to be on the grey side, I’m willing to give it a shot. I always love dry shampoo, but I can’t get beyond the scent of this one. I find it to be very floral-y and I will most likely be swapping this one. I was very excited to try this, and am thankful for the sample. However, the scent is a little strong for me, so I doubt it would be something I can wear everyday. This was the most exciting item in the box for me. I’m thrilled to be able to try this, and the sample size is quite generous. Overall, I’m relatively happy with this box. I always love having things to try, and I’m always up to swap some things for products I can use. I’m not sure if I’ll continue to subscribe, but the box isn’t that expensive, so I’d be interested to see what next month brings.